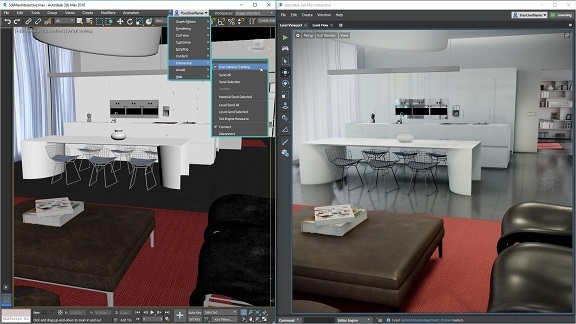 Autodesk unveiled their newest version of 3ds Max which includes 3ds Max Interactive, a real-time VR viewer for 3ds Max scenes. Until now, artists had to learn how to use a game engine to bring their content into VR. With this newest version of 3ds Max, Autodesk has made it easier than ever for artists to experience their creations in VR by providing an automated tool for viewing their 3ds Max scenes in VR. It even converts existing V-Ray materials to make them compatible with VR, saving artists tons of time that would be spent reconfiguring each material. This new addition makes it much easier for architects to virtually walk clients through a building, for designers to demo a product or for artists to create VR content without having to learn a game engine. 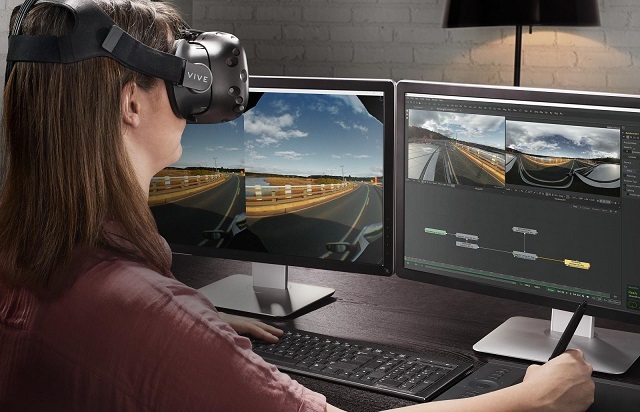 Fusion 9, the latest iteration of Blackmagic’s VFX software adds VR support and better GPU optimization in addition to a huge price drop. Fusion has been recently increasing in popularity among VFX designers for its affordability and flowchart-like workflow which allows for faster and more complex content creation than its competitors. This new iteration of Fusion adds many new features like camera tracking and a whole new set of VR tools that can be used to create and view stereo 360 VR content. The playback engine, renderer and VFX tools have also been updated to provide faster previews with better GPU acceleration. All of this adds up to an incredibly versatile VFX package with better features and performance than After Effects at only a fraction of the cost. StarVR showed off their incredible 5K VR headset, featuring IMAX VR content from John Wick Chronicles. 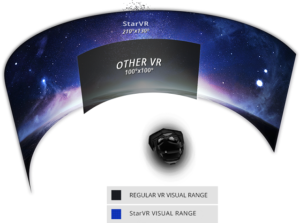 StarVR is a collaboration between Starbreeze Studios and Acer to create a superior VR headset that offers a premium immersive experience. StarVR is able to achieve this using high resolution displays and extended optics that increase sharpness and push the field of view into the peripheral vision. The higher resolution completely eradicates the screen door effect and allows objects to feel like they are farther away in space, while the extended field of view allows you to see enemies out of the corner of your eye and increase presence. All of these improvements make a huge difference in the quality of the immersion and overall experience, which is why StarVR has teamed up directly with IMAX to deliver state of the art experiences at its IMAX VR centers. Starbreeze has also been working directly with Universal and Lionsgate to create premium VR content for their headsets. Looking Glass Factory demoed their new interactive holographic display: HoloPlayer One. This impressively affordable holographic display uses a lenticular sheet and a retroreflective film to create an interactive 3d image that floats above the glass. 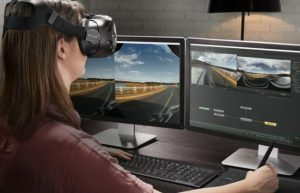 The display folds out from a laptop-sized case to reveal an angled glass screen and features an Intel Realsense SR 300 to track the 3d motion of the user’s fingertips, allowing for interaction with the floating holograms. Applications they demoed allowed users to draw in 3d with their fingers, sculpt objects and interact with 3d scenes. With their HoloplaySDK for Unity, developers will be able to easily create holographic content for different use cases such as medical imaging, museum displays and interactive art installations. Compared to other holographic displays, this display is much more portable, interactive and affordable, possibly making this the most practical holographic display ever. HaptoCloneAR is an interactive holographic display developed by students at the University of Tokyo that allows two users to share an interactive workspace. The system has two deep windows each user can reach into to interact with each other. At the back of each window is an optical mirror-like surface that allows the users to see each other as a 3d hologram. As the users insert their hands into the window, they can see the other user reaching into the same space, and even feel the presence of each other’s hands without touching anything. It uses a Kinect to scan the hands in real time and delivers accompanying haptics to the other user’s hands though a set of ultrasonic mid-air haptic arrays. In addition to this, users can use their fingers to collaboratively interact on a shared holographic screen and even use the haptics to push light objects, such as a small beach ball, out of the other user’s window.